With 44 years of financial services experience, Barbara is CEO and Founding Partner of Hudock Capital Group, LLC. Barbara has been included in Barron’s Top 100 Women Financial Advisors List1 for ten of the past thirteen years, was ranked among the top 50 Financial Advisors in Pennsylvania by Barron’s2 for nine of the past eleven years and has been included among both Barron’s Top 100 Independent Financial Advisors3 and Registered Rep’s Top 100 Independent Advisors in America4. In 2018, Barbara was included in the Barron’s Advisor Hall of Fame. In 2013, Hudock Capital was ranked by Forbes as first among the 50 Top Wealth Managers included on its Emerging RIA List5 and Barbara’s firm has received Forbes’ Small Business Enterprise Award in 20066. Hudock Capital has been included also in Financial Planning’s Top 50 Emerging RIAs7 and in Wealth Management’s list of Top 50 Women-Owned RIAs8. Before founding her own firm, Barbara worked as a Financial Advisor for Merrill Lynch Private Client Group. She rose to become a First Vice President at Merrill Lynch and was an instructor of financial planning at their Princeton Professional Development Center. Barbara is a graduate of Bloomsburg University and holds the professional designation of Certified Investment Management Analyst (CIMA). She completed her Certified Portfolio Manager (CPM) certification through Columbia University and the Academy of Portfolio Management and is a graduate of the Securities Industry Institute—a collaboration of the Wharton Business School and the Securities Industry Association. She is a member of the Investment Management Consulting Association and frequently presents at continuing education events and industry conferences. Originally from Charlotte, North Carolina, Barbara has lived in Williamsport for 47 years. Passionate about philanthropy and her community, Barbara currently serves as a Trustee on the Bloomsburg University Council of Trustees, the Boards of WVIA Public TV & Radio, the Community Arts Center and the Woodcock Foundation for the Appreciation of the Arts. 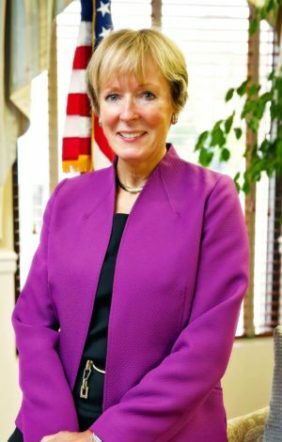 She is also a member of the Pershing Advisor Solutions Advisor Council and has served on Boards of the Susquehanna Health Foundation, Bloomsburg University’s Foundation Board, the First Community Foundation of Pennsylvania, the Williamsport Lycoming Foundation and the Williamsport Chamber of Commerce. Among her recognitions, Barbara has received the Pennsylvania Governor’s Patron of the Arts Award, was honored with the Director’s Chair Award by the Community Arts Center in Williamsport and is a recipient of the Jerusalem Star Award. The Hudock Family also received the Philanthropist of the Year presented by the Central Pennsylvania Chapter of the Association of Fundraising Professionals. Barbara and her husband Mike have two children and two grandchildren. Barron’s Magazine The Top 1,000 Advisors, February 9, 2009, February 22, 2010, February 21, 2011, February 18, 2013; and Barron’s Magazine The Top 1,200 Advisors, February 24, 2014, February 23, 2015, March 6, 2017, March 12, 2018, March 11, 2019. Barron’s Magazine Top 100 Independent Financial Advisers, August 27, 2007, August 18, 2008. Wealth Management.com Registered Rep Top 100 Independent Advisors in America List, August 1, 2007 and August 1, 2009. Forbes 2013 Top 50 Wealth Managers Emerging RIA. Forbe’s Magazine’s “Top 50 Emerging Wealth Managers” list ranked RIA’s (Registered Investment Advisors) under $500 million in total assets under management (AUM) based on growth from March 31, 2011 through March 31, 2013. Advisors qualified based on quantitative and qualitative factors. Forbes Magazine, April 16, 2007. Businesses were evaluated in five areas: Marketing, Customer Service, Employee Relations, Community Service and New Product/Service Offerings. Financial Planning Magazine Top 50 Emerging RIAs, January 2013. Wealth Management.com Top 50 Women-Owned RIAs, April 2013.